In this article I want to explore having students use their computational thinking skills to code an app to assist them in making predictions about real-life events while exploring theoretical and experimental probabilities. 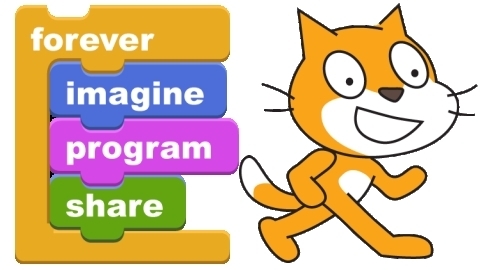 It is assumed you have some knowledge of block coding (eg: Scratch). Traditionally, this lesson is taught by having students conduct their own experiments while making a tally in a T chart (eg: roll a die, flip a coin), We are going to extend it by adding the critical thinking layer by coding an app to run the simulation on our behalf. Doing this gives students the perfect opportunity to run their simulation a great deal of times to explore what actually happens to the experimental probability in terms of the theoretical the more often it runs. Not only do students grasp the numeracy concepts, they problem-solve the entire time – in a collaborative environment. See my post on computational thinking here. But let us also consider the inquiry. Inquiry looks a little different in the CS world as the questions generally become “if I change this variable, what will happen?”. It’s still very much inquiry. Collaborative inquiry holds potential for deep and significant change in education. Bringing educators together in inquiry sustains attention to goals over time, fosters teachers’ learning and practice development, and results in gains for students. self-confidence, personal health and well-being, career and life skills. a variety of digital tools; listening skills. others, social networking skills, empathy in working with diverse others. considering and pursuing novel ideas, and leadership for action. This task can easily be easily extended. A more challenging simulation might be a six sided die as there are more outcomes for the student to consider and code or a spinner with different sized options. Whatever the case, these models can certainly be used to predict real-life events. Don’t forget the real-life coin flipping scenarios in your class, just consider using this as an extension of that learning. I want you to consider that not only do you as an educator cover the above expectations, this provides an excellent opportunity for anecdotal notes and conversations based on the Learning Skills and Work Habits. If you would like an app to store such feedback, check out edmettle – www.edmettle.com.